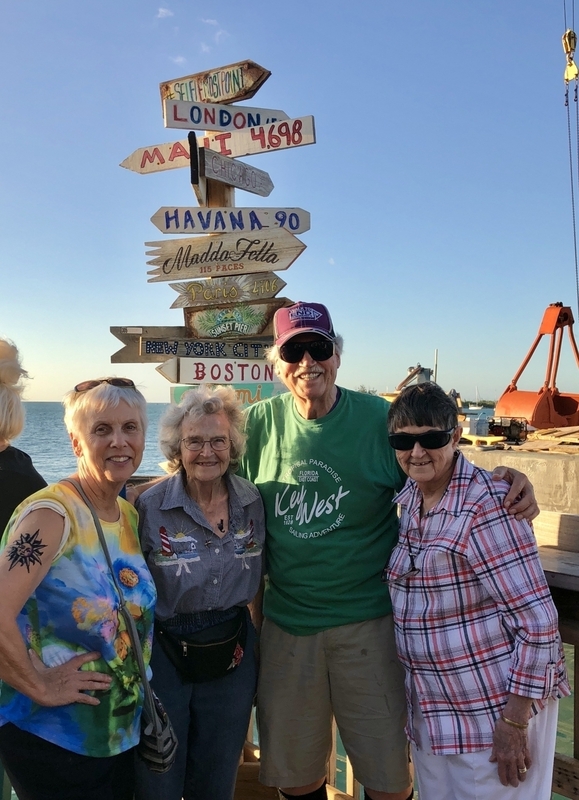 Key West, the southernmost point in the United States, and home to many famous and infamous places and people was our number one stop for this year’s second Extraordinary Outing. 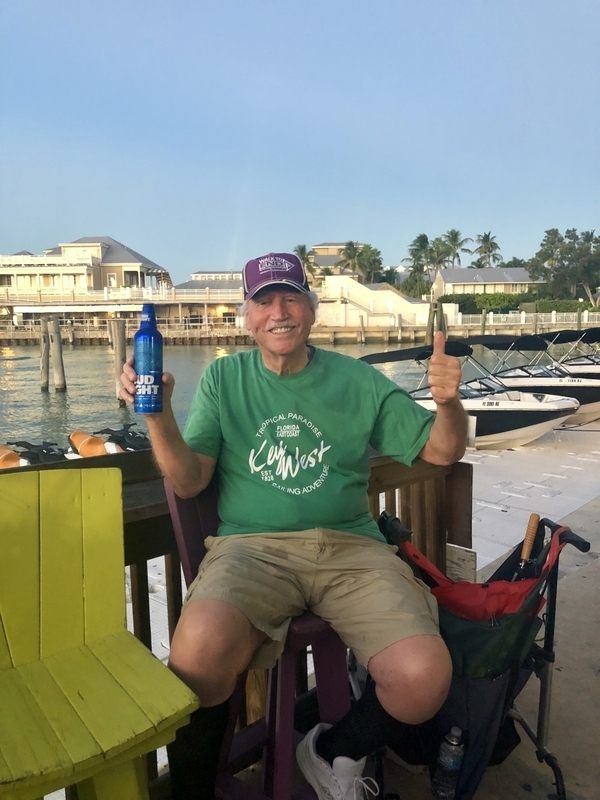 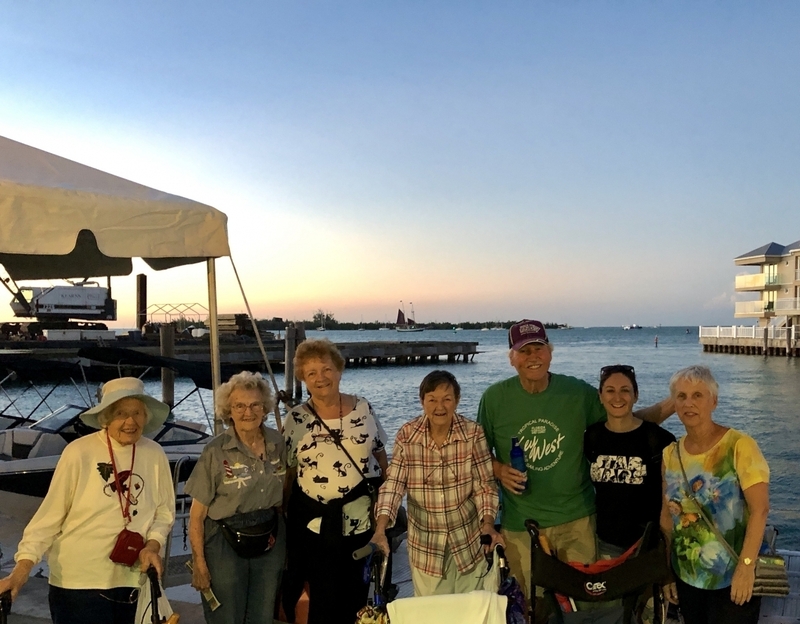 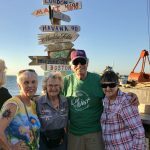 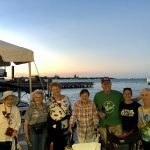 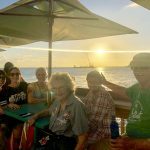 With 8 awesome residents from Town Center, our Community Life Director and Resident Relations Director joining in on the fun, we took the Key West Express Ferry from Fort Meyers Beach before the sun even came up and arrived in sunny and lovely Old Key West by lunchtime on October 18th. 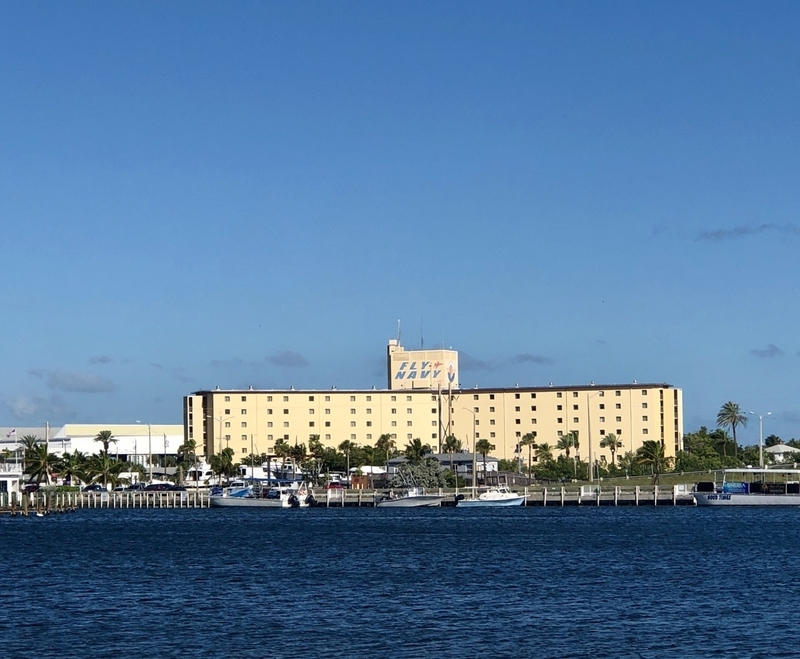 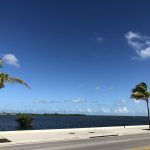 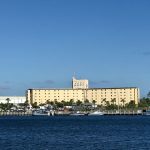 We stayed in a lovely resort, DoubleTree Resort by Hilton Hotel Grand Key that offered its shuttle service for pick up and drop off from quite a few of our locations. 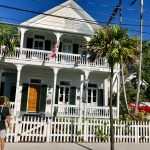 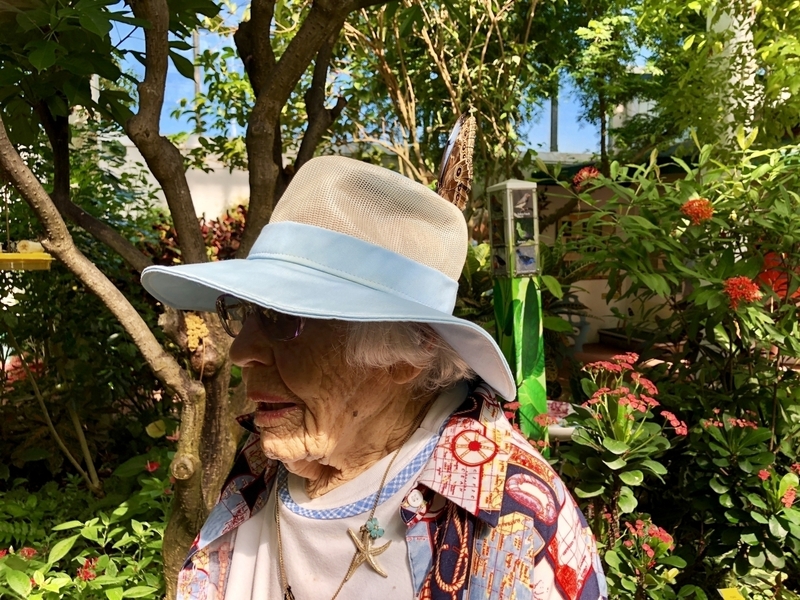 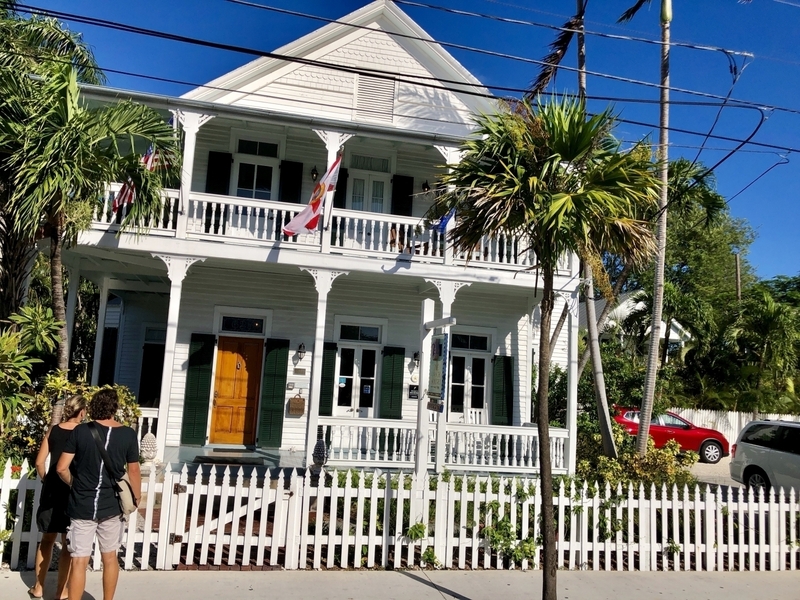 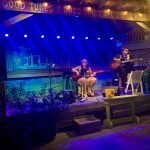 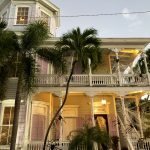 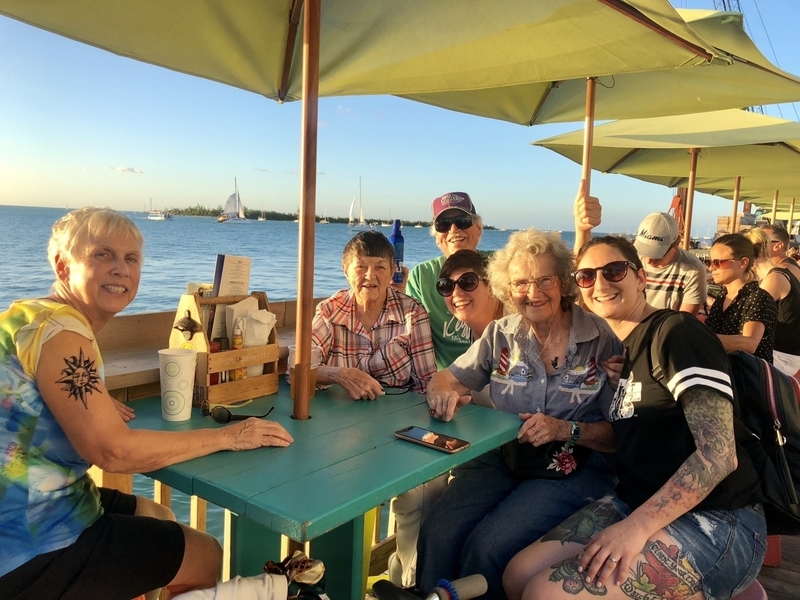 Once settled into our rooms and a lovely lunch, we headed out to explore all that Key West in the evening had to offer us. 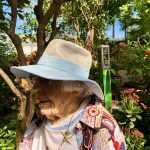 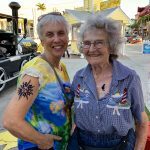 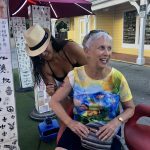 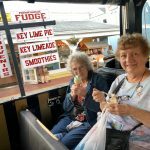 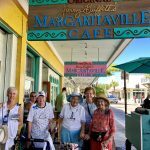 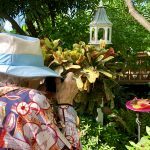 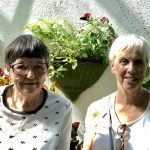 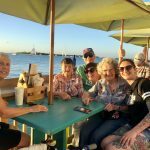 As we made our way down to Mallory Square for the famous Sunset Celebration, we stopped and checked out a few shopping spots, and a couple of our amazing ladies decided that when in Key West, go big! 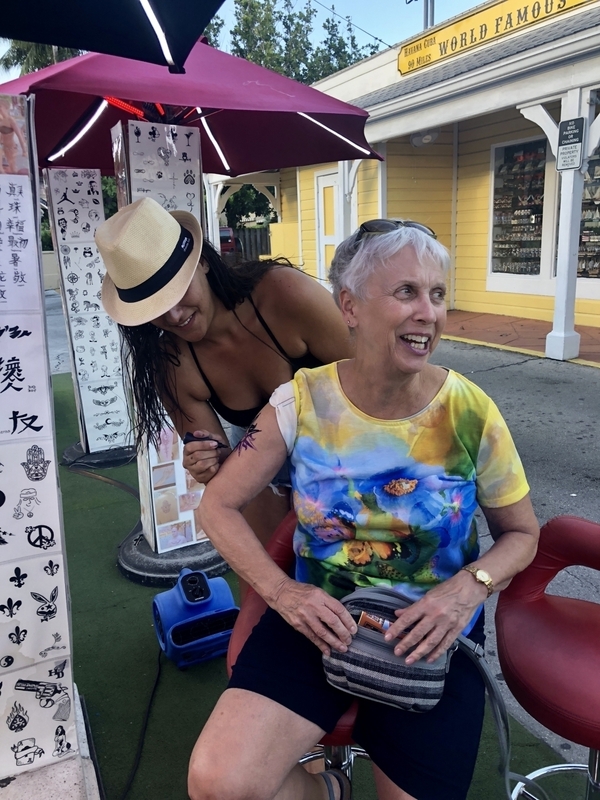 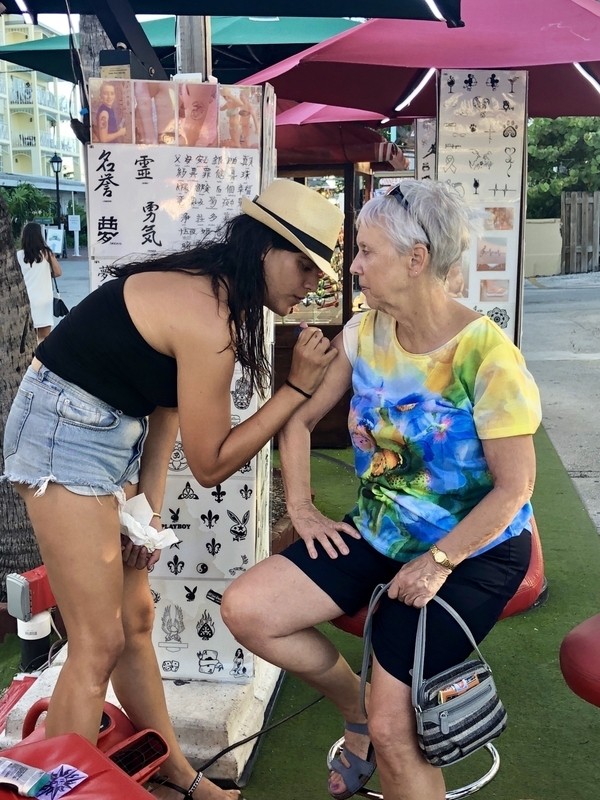 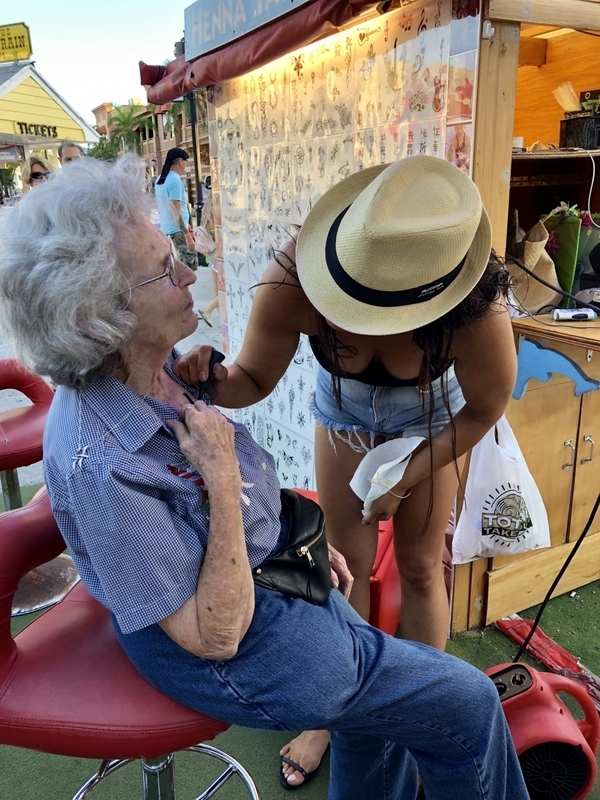 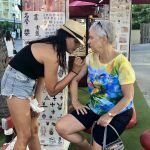 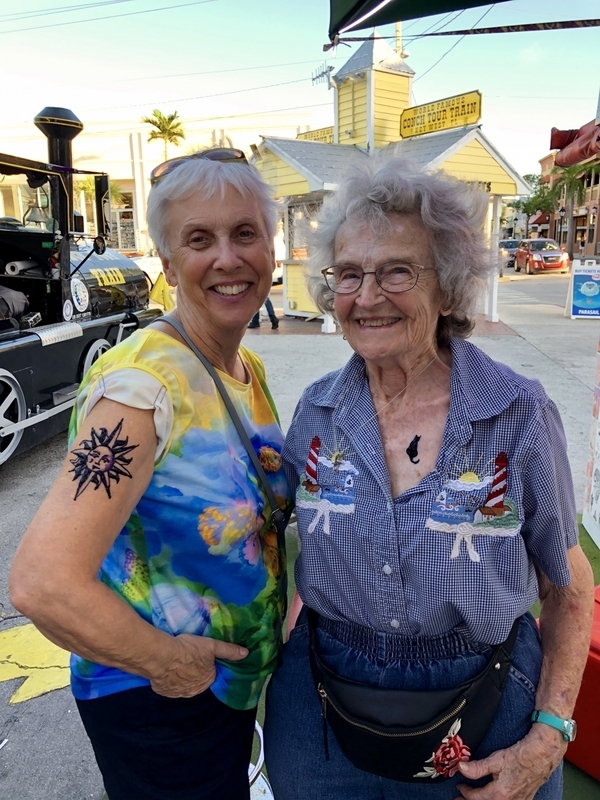 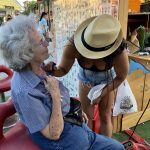 They happened to see a temporary ink tattoo shop, and both ladies decided to go for it, getting a lovely sun on one’s arm and a black cat on her collar bone! 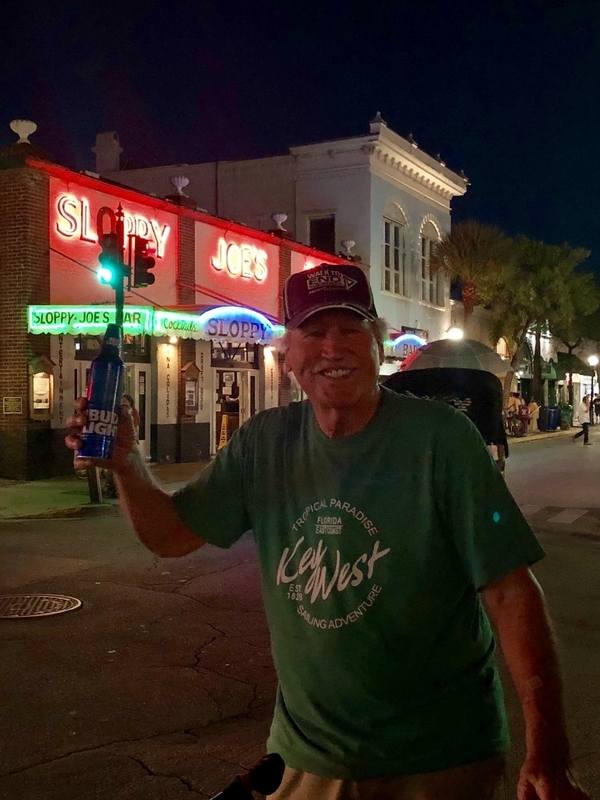 You know, they say what happens in Key West, stays in Key West… this became the running joke from that moment on! 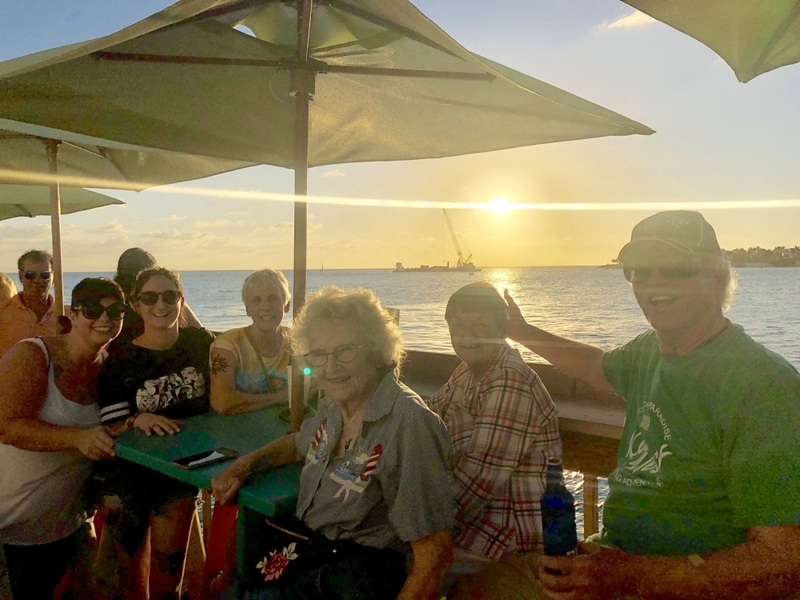 We settled at a table at the local hotspot to watch our first sunset in town, and boy was it breathtaking. 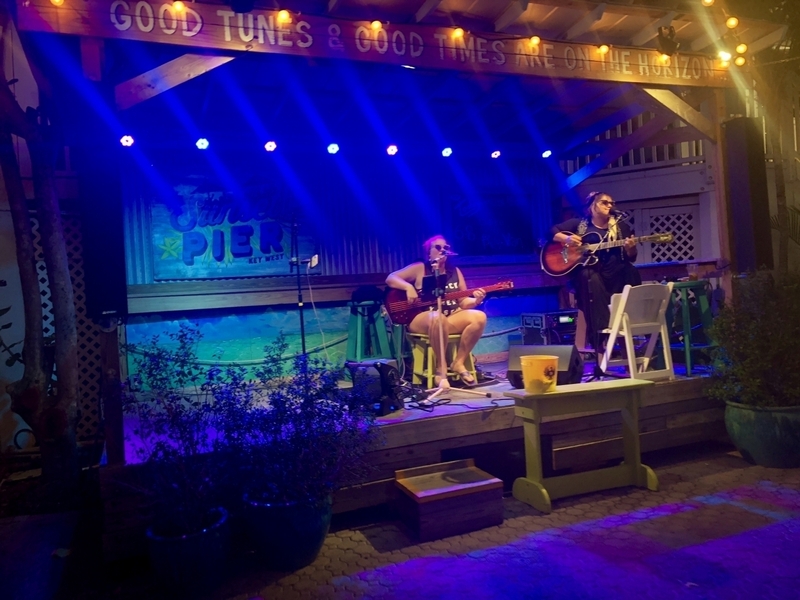 Listening to the live band, making a few new friends and enjoying each others company in one of the most beautiful places in the world was our main objective and it’s safe to say this was a mission accomplished. 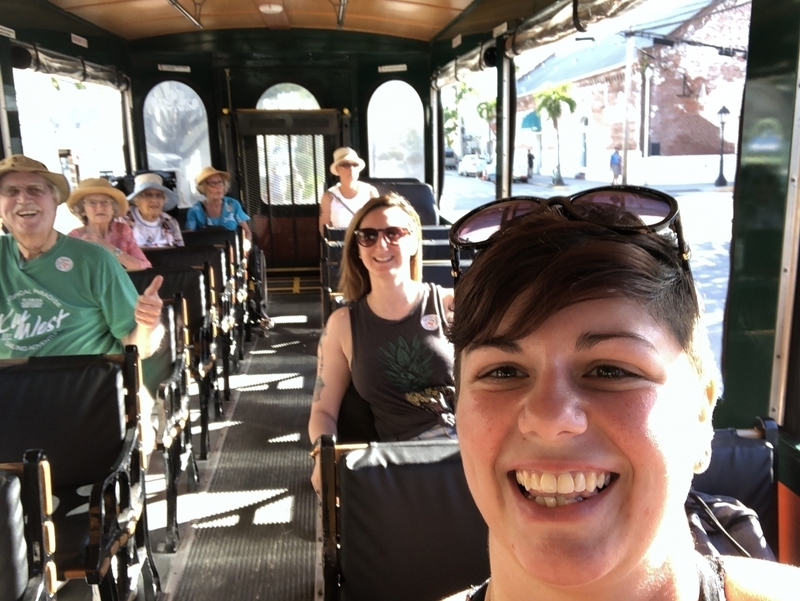 The next morning we woke to another beautiful day in paradise and went Downtown to board the Old Town Trolley for a tour of the 13 most popular attractions around town between Old Town & New Town. 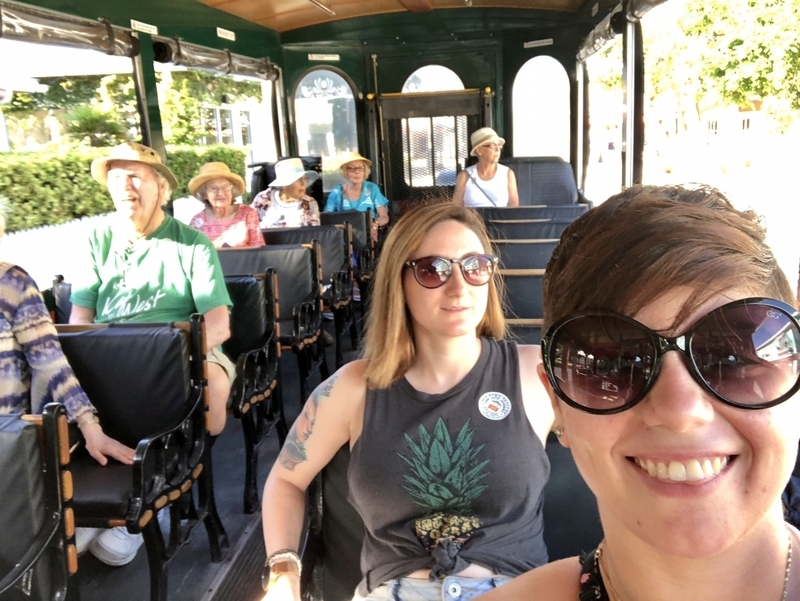 The trolley was neat because it allowed us to ride around to the places we wanted to and get on and off as we pleased. 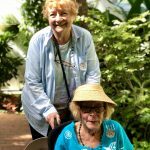 Our first stop was the amazing Butterfly Conservatory. 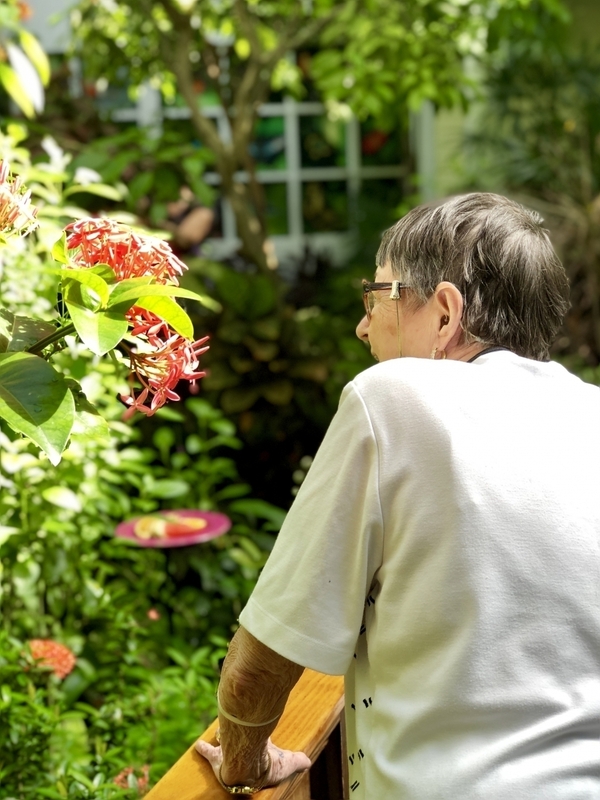 Upon entry, you were immediately washed over with a feeling of pure serenity. 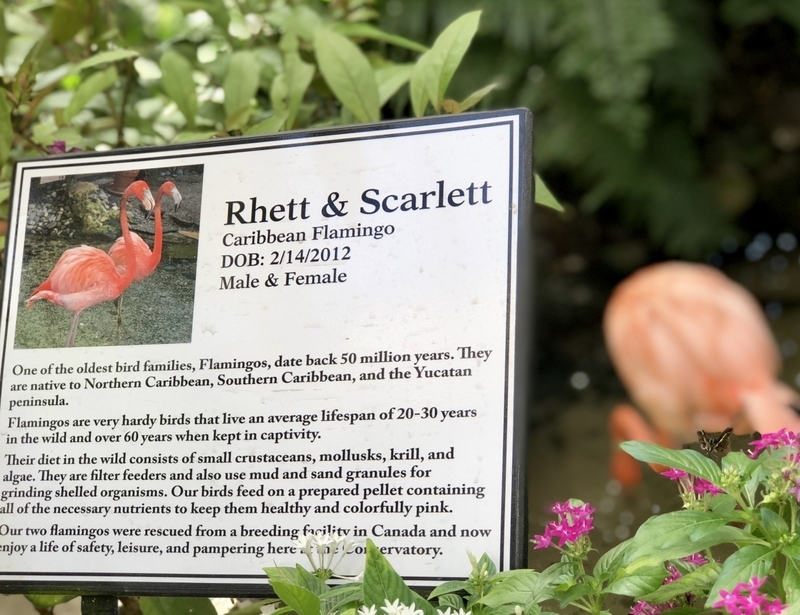 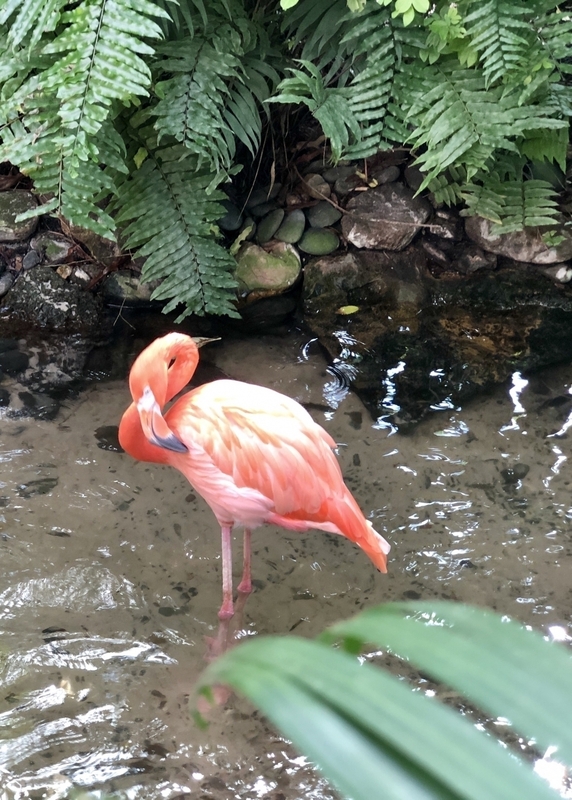 The sounds of the birds and running water was so calming, the atmosphere immediately could change anyone’s mood, and the beautiful flamingos were making sounds we had never heard before! 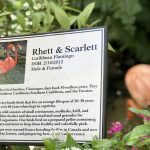 Oh sweet Rhett & Scarlett! 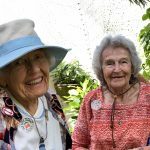 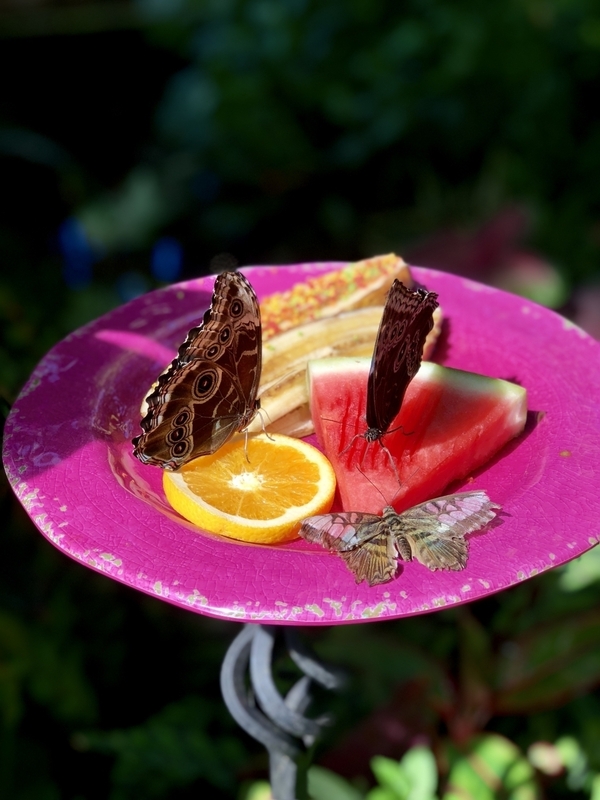 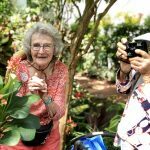 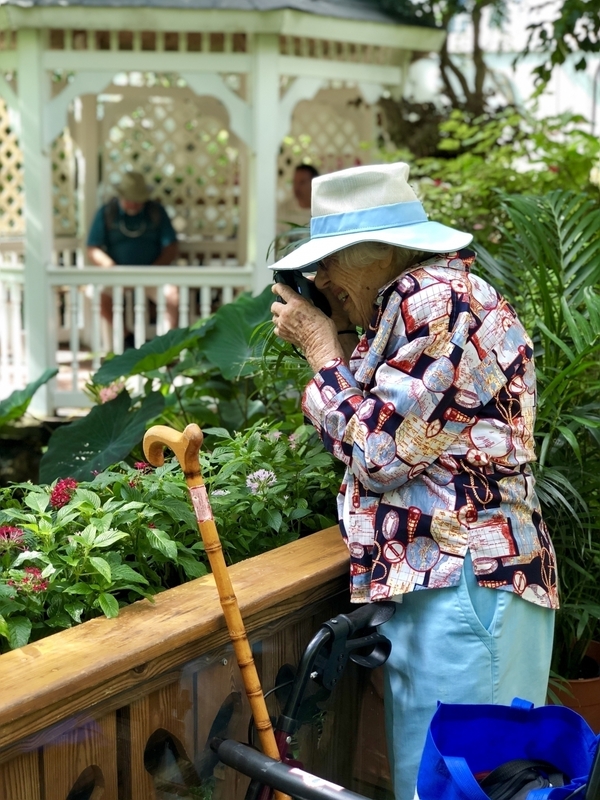 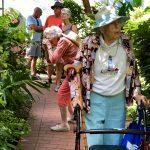 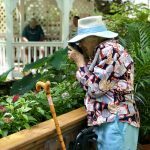 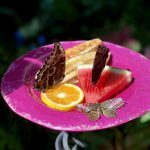 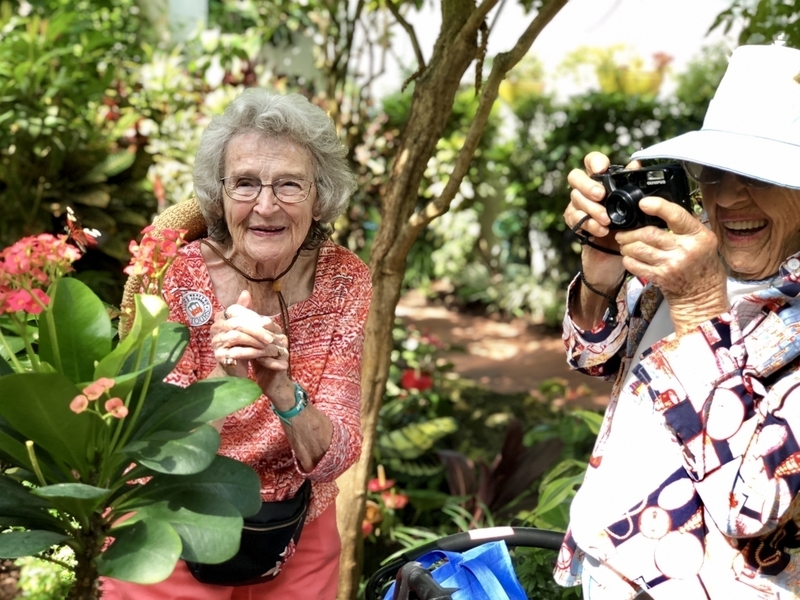 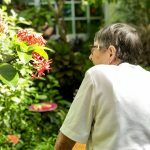 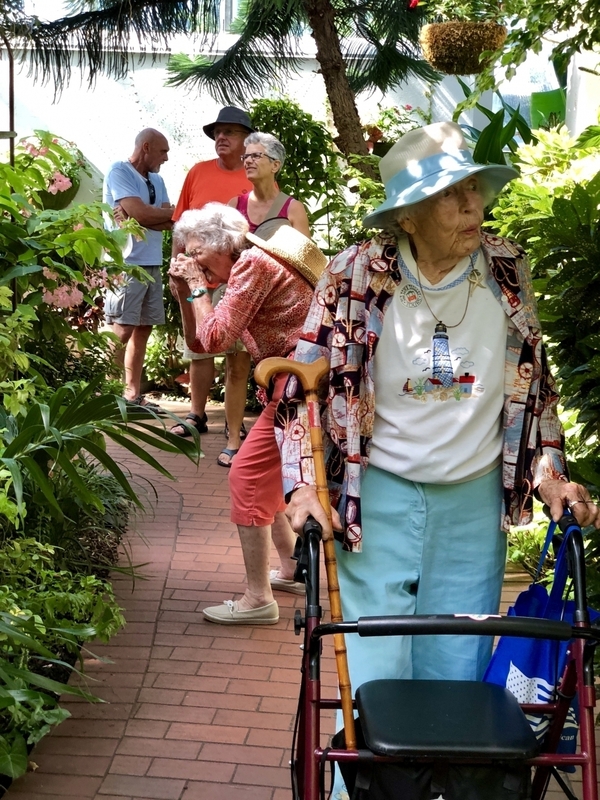 As we walked the trail in the conservatory, we bore witness to the most majestic looking species of exotic butterflies, many fluttering about all around us. 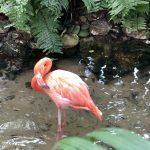 Some doing the dance of love and others nesting on fruits. 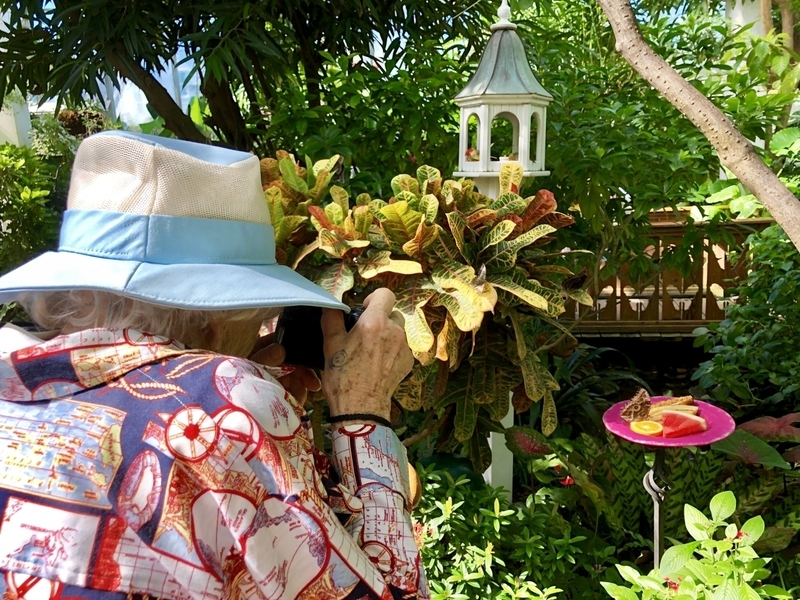 A couple even landed on a few of our residents! 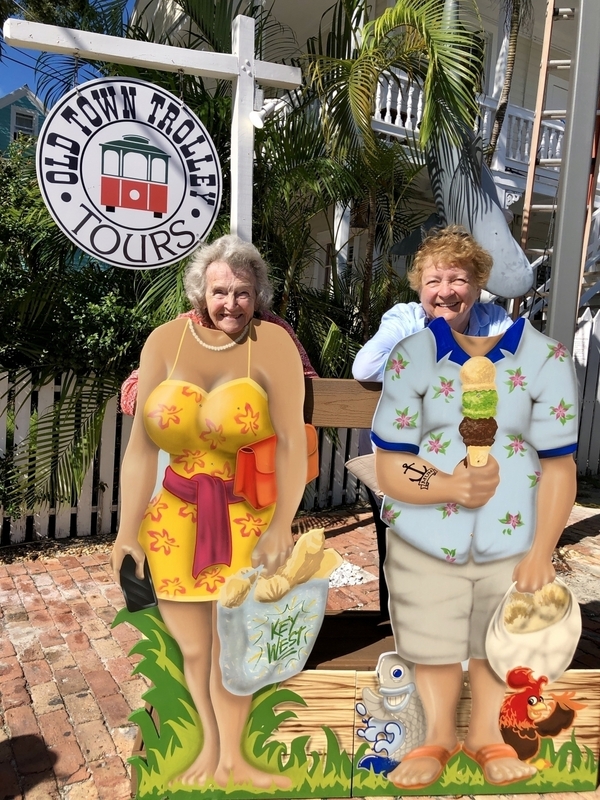 We wanted to stay there all afternoon, but alas we had much to see. 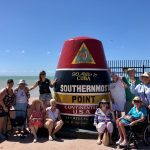 Our next stop was our first group picture at the Southernmost Point, which is about 90 miles to Cuba from here! 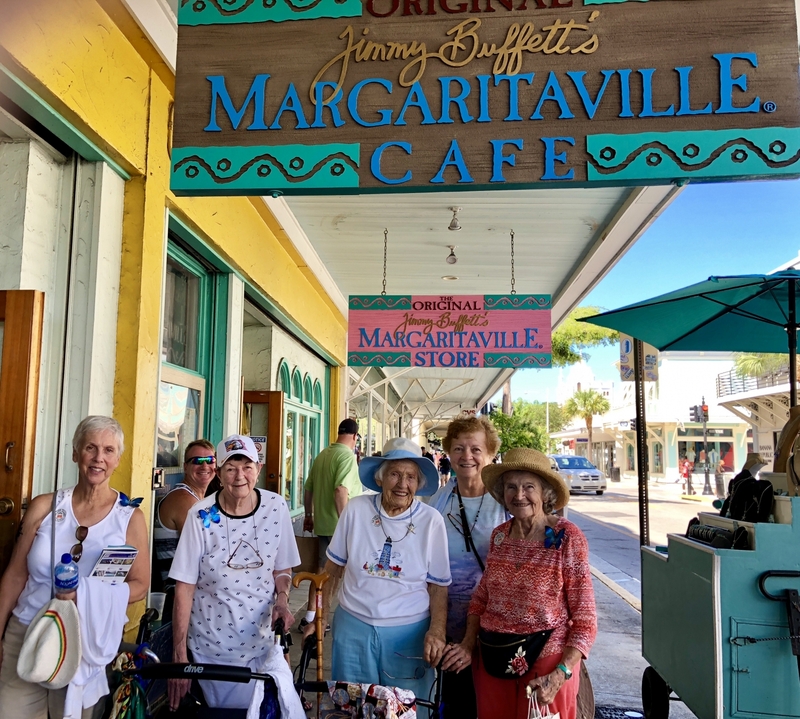 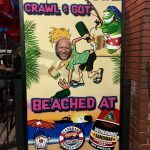 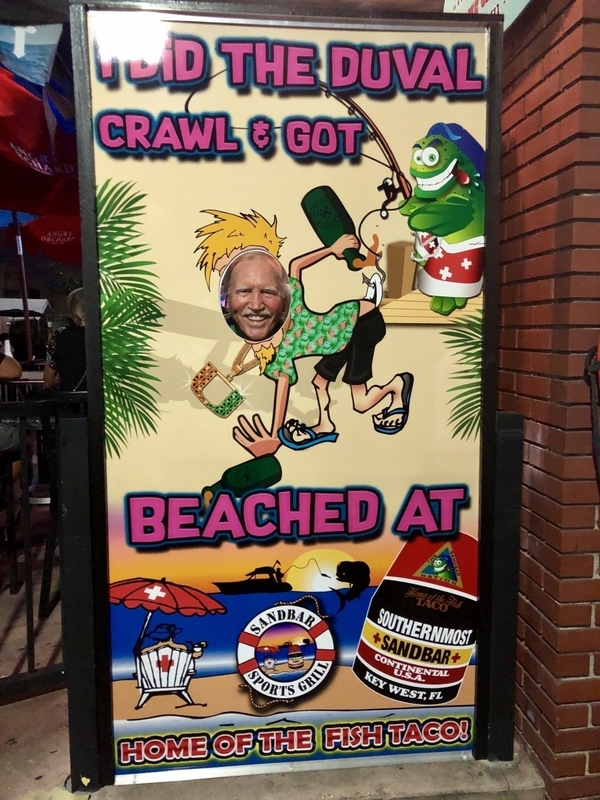 After that, we boarded the trolley to the next stop – lunch at Margaritaville! 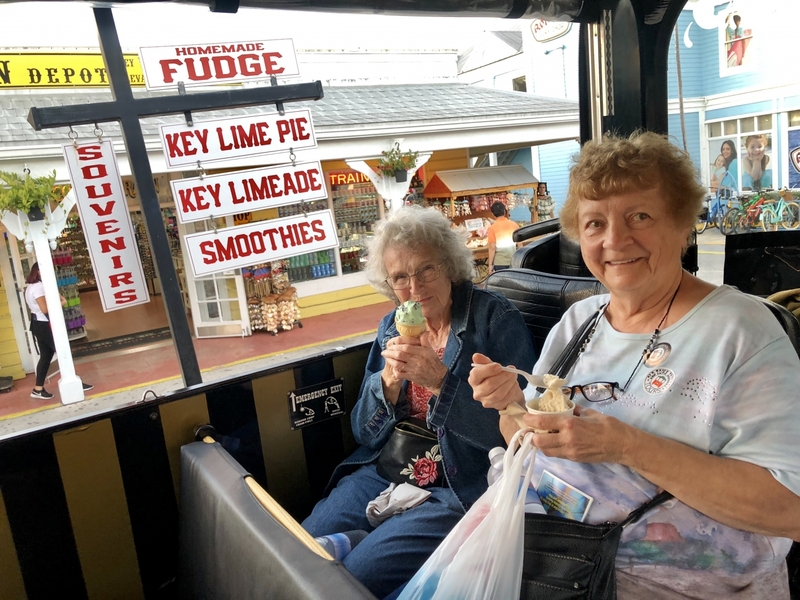 We had to conserve our energy for the night, so we took a trip back to the resort after some ice cream and relaxed at the hotel for a few hours. 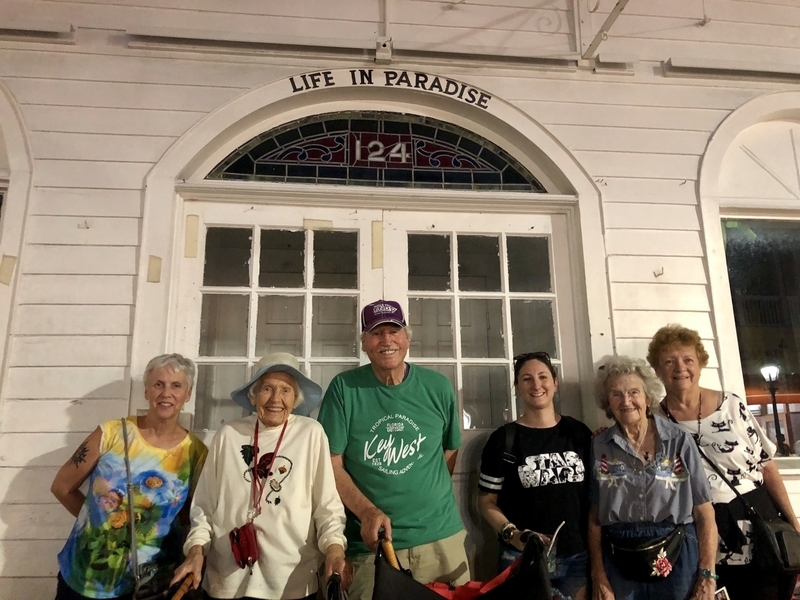 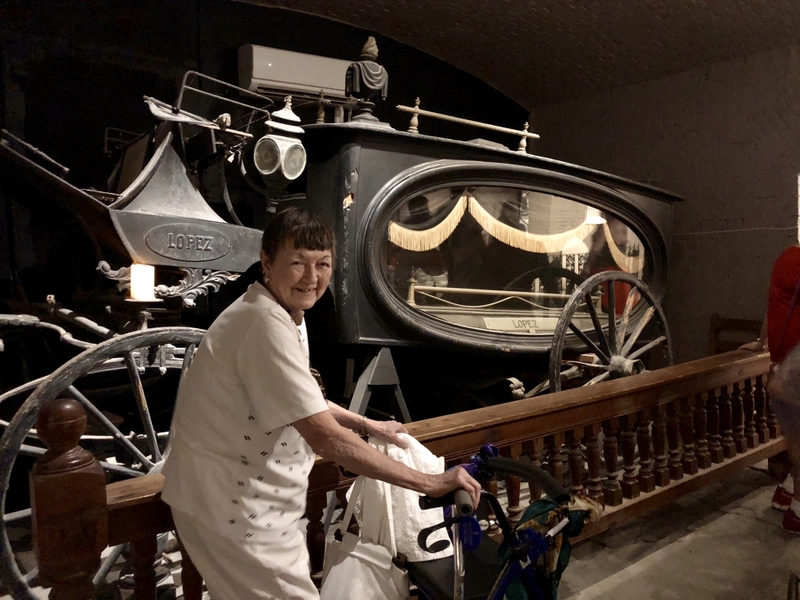 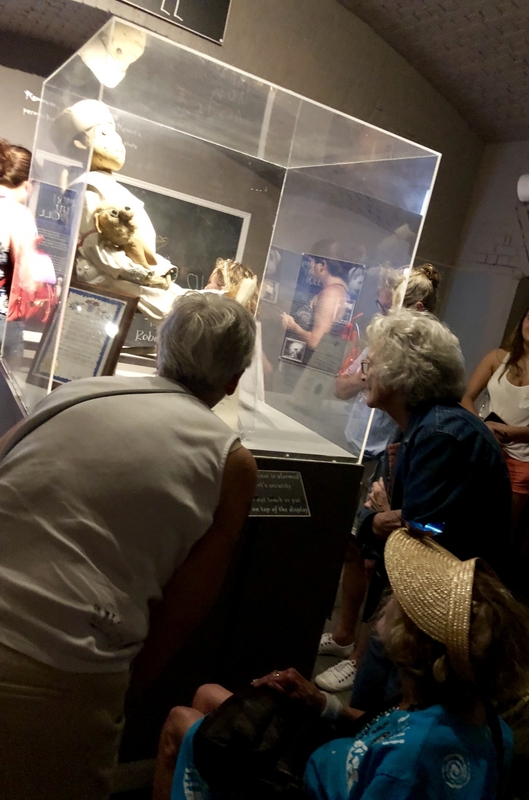 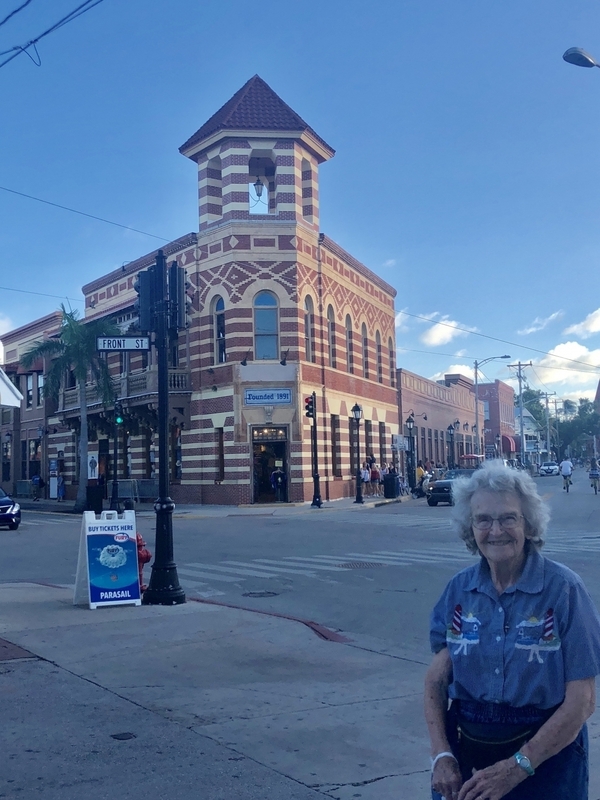 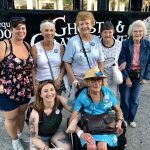 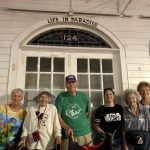 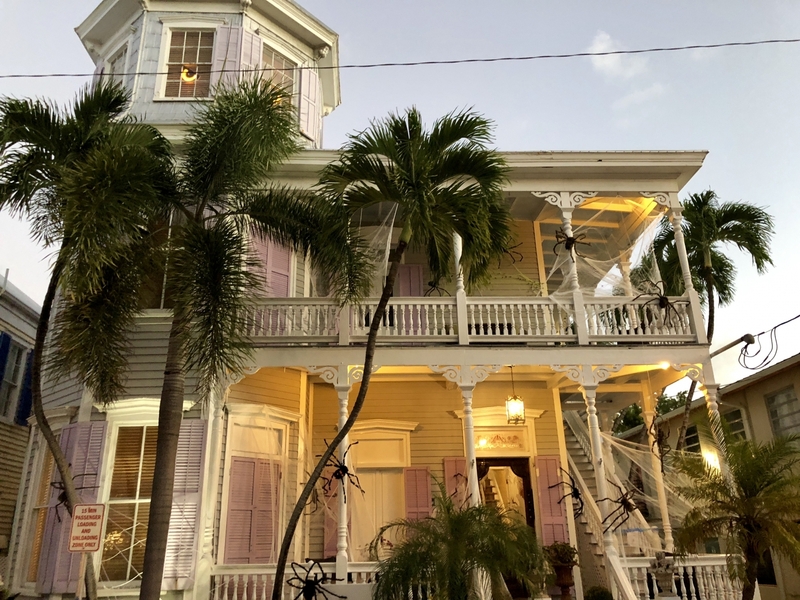 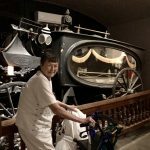 Before dark, we were on the go again, this time heading to a special Ghosts & Graveyards Tour, learning about the legendary haunting and folk-stories of Old Key West. 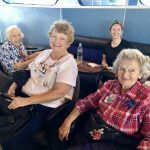 We made a special stop to the Ship Wreck Museum and the East Martello Museum to visit the famous Robert the Doll! 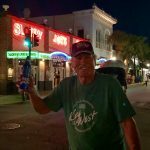 Don’t worry, for those that know his story, we were sure to ask his permission before taking his picture. 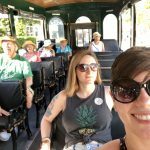 It was so much fun to ride around town on this tour, as the locals shouted at us “Doom!” and we yelled back “We know we’re doomed!”. 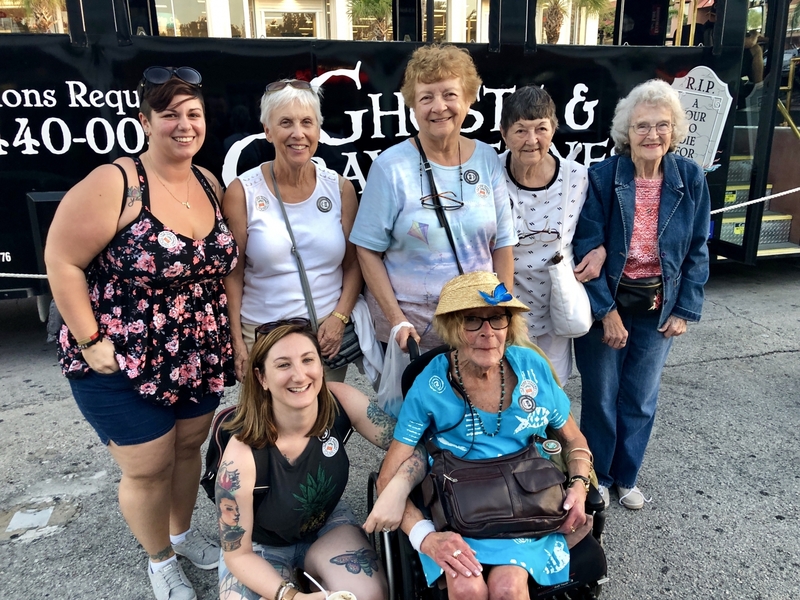 It was a tour we couldn’t pass up, especially in October with Halloween just around the corner. 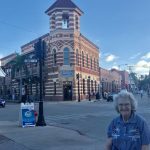 Our final day, we had a relaxing morning at the hotel before heading back out to Duval Street for one more adventure. 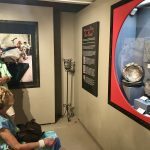 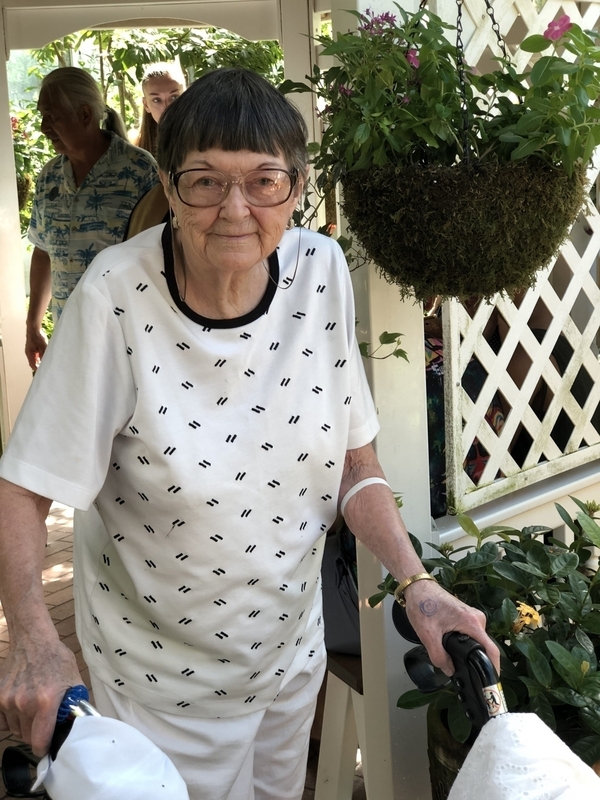 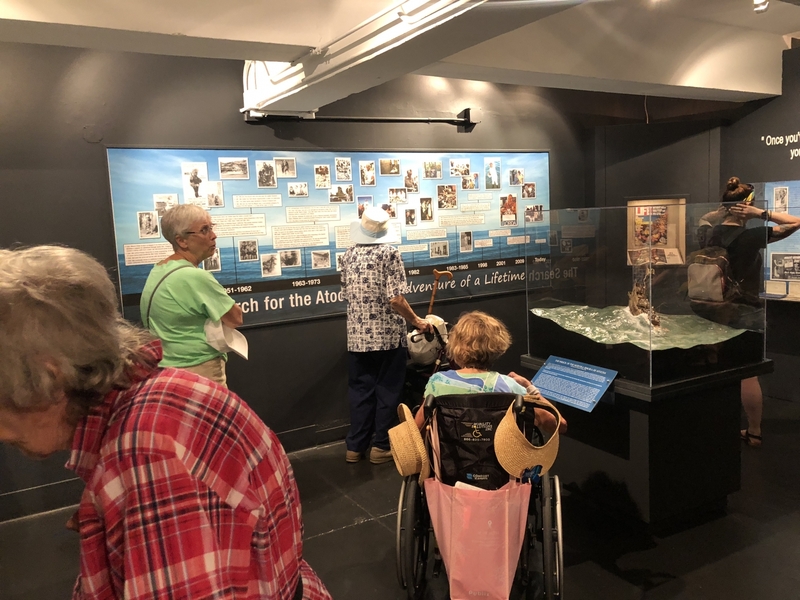 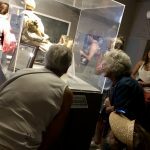 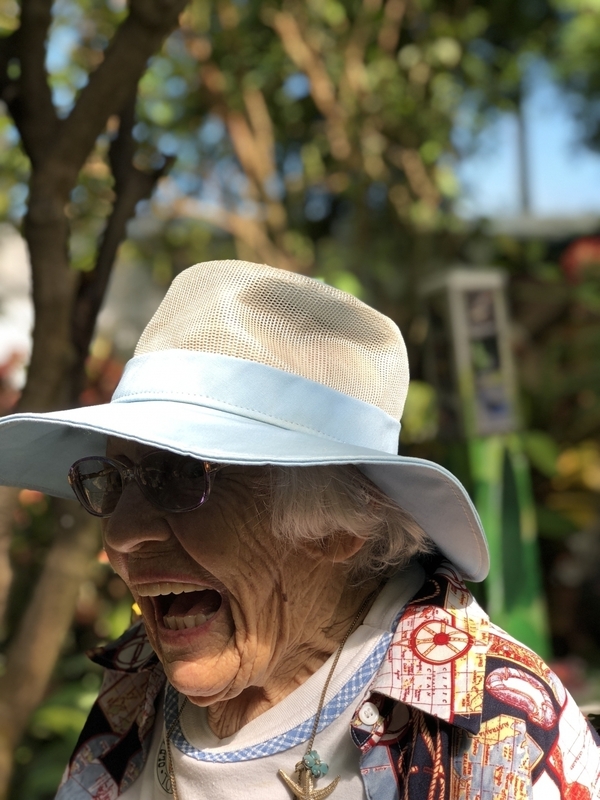 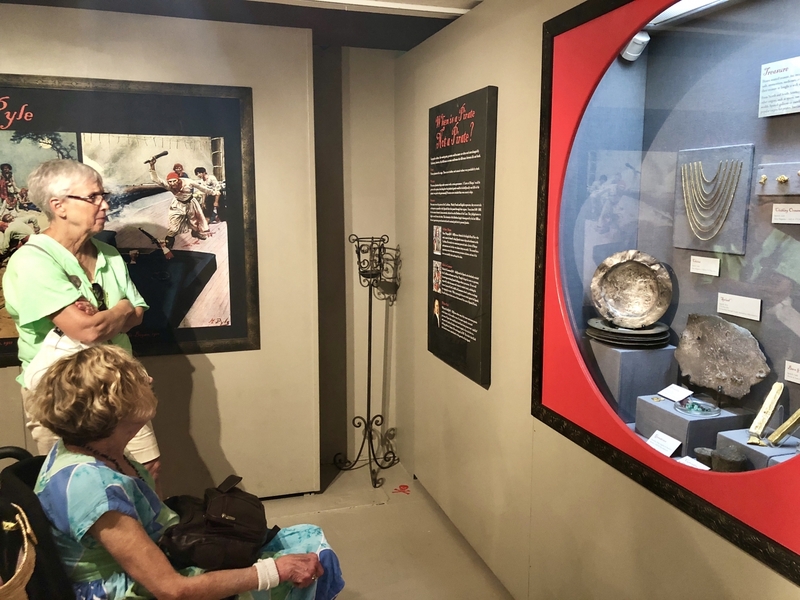 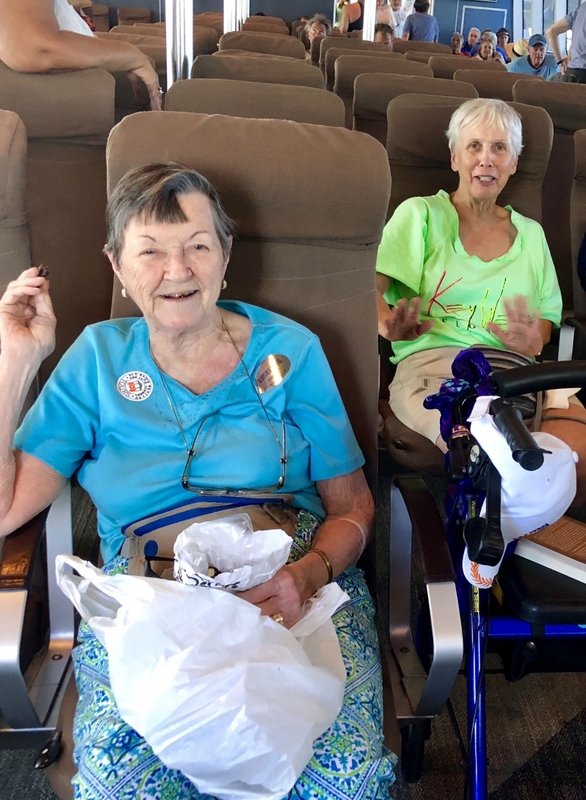 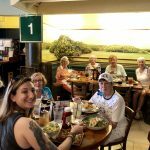 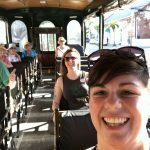 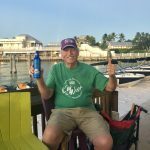 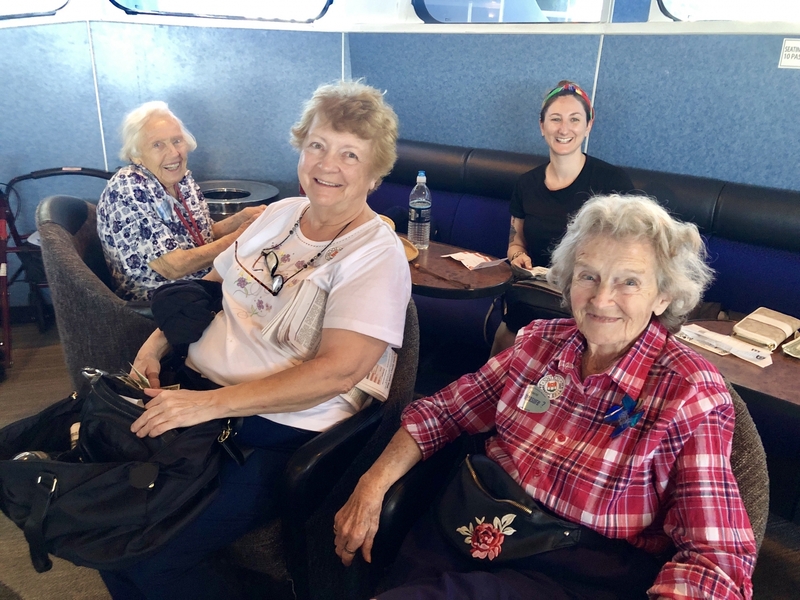 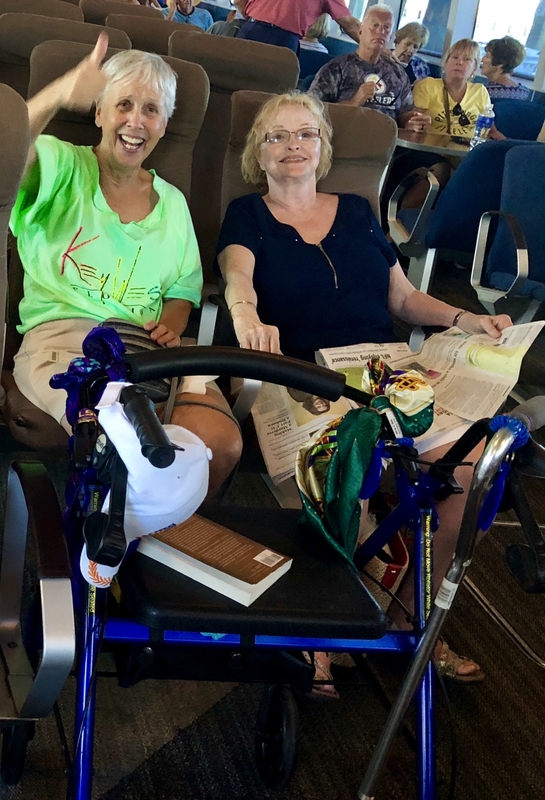 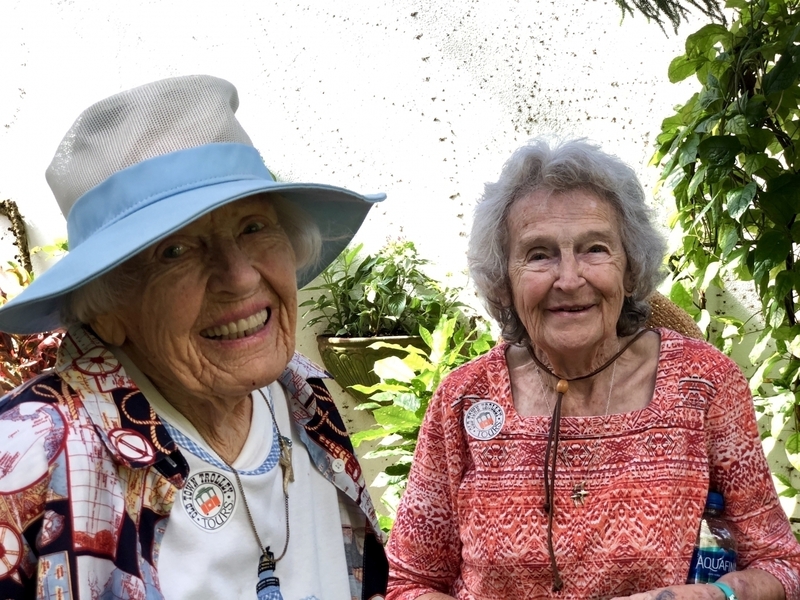 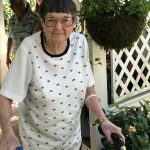 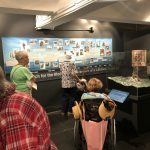 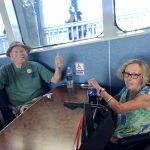 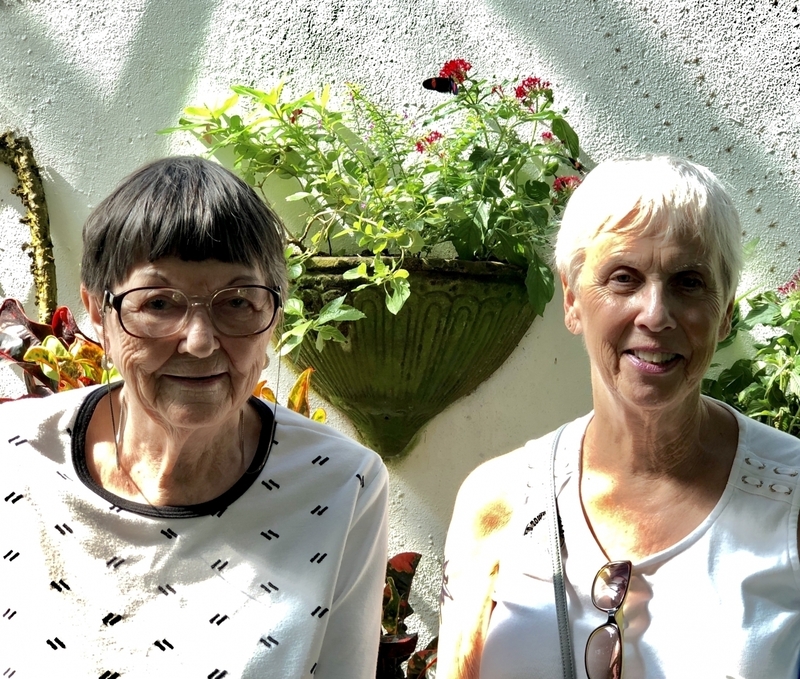 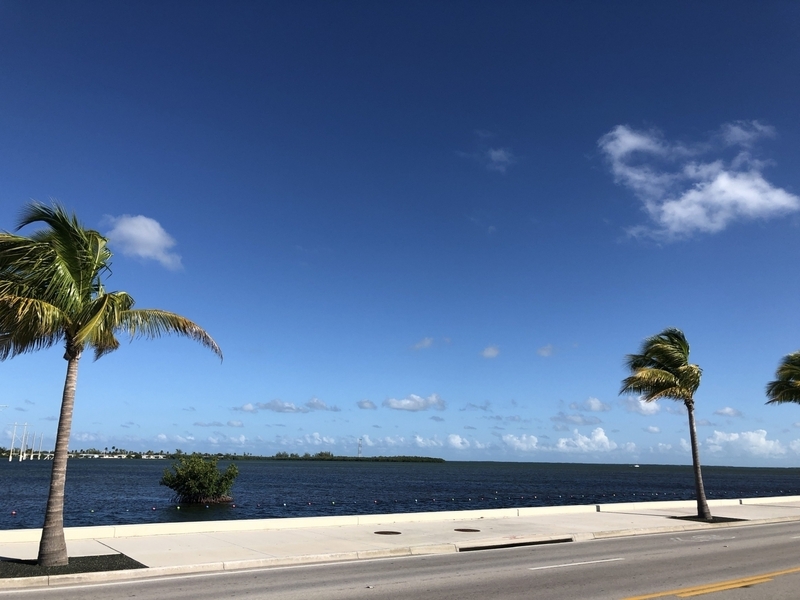 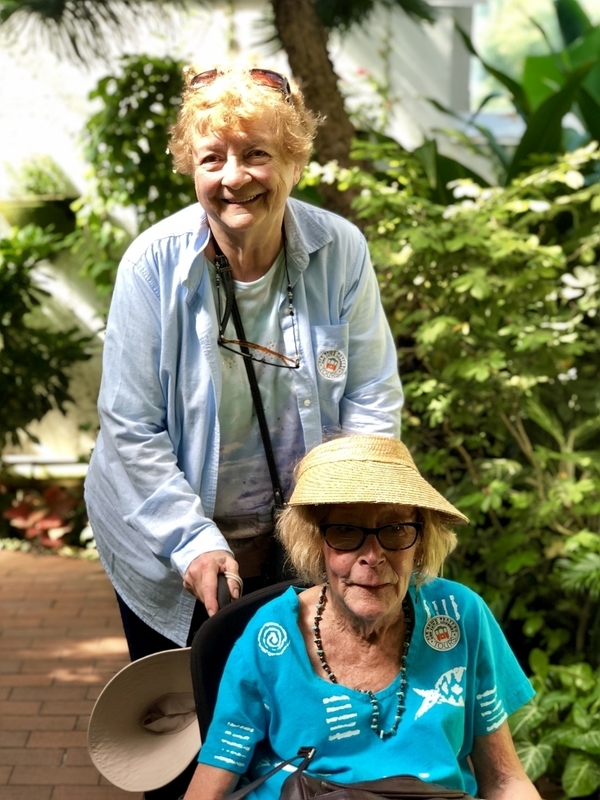 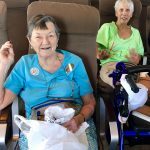 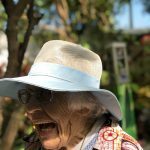 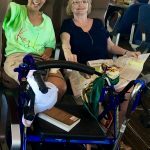 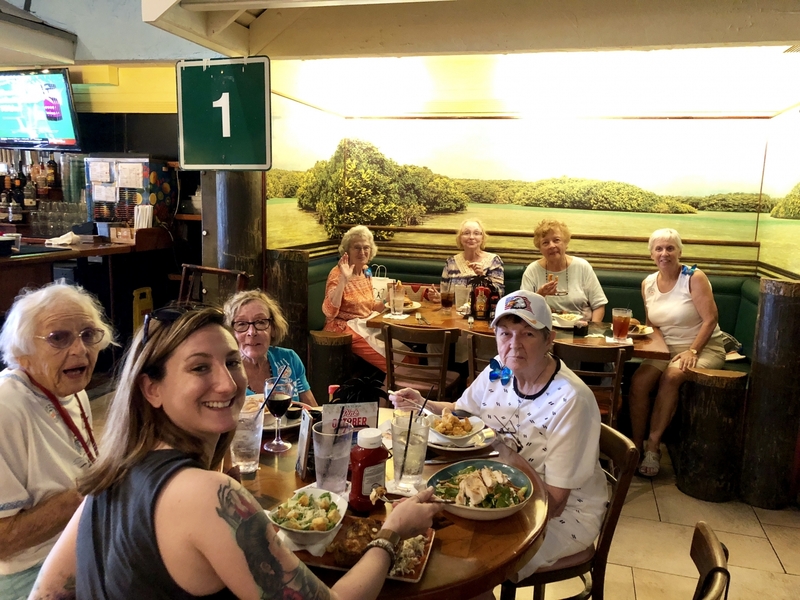 We took the trolley again on a tour and learned a few new things before making it to Mallory Square for lunch at Red Fish Blue Fish before heading over to the Mel Fisher Maritime Museum. 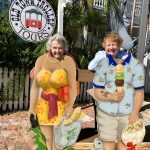 We got a chance to buy a few souvenirs (and lots of ice cream) throughout the days and made our way back to the Key West Express for home. 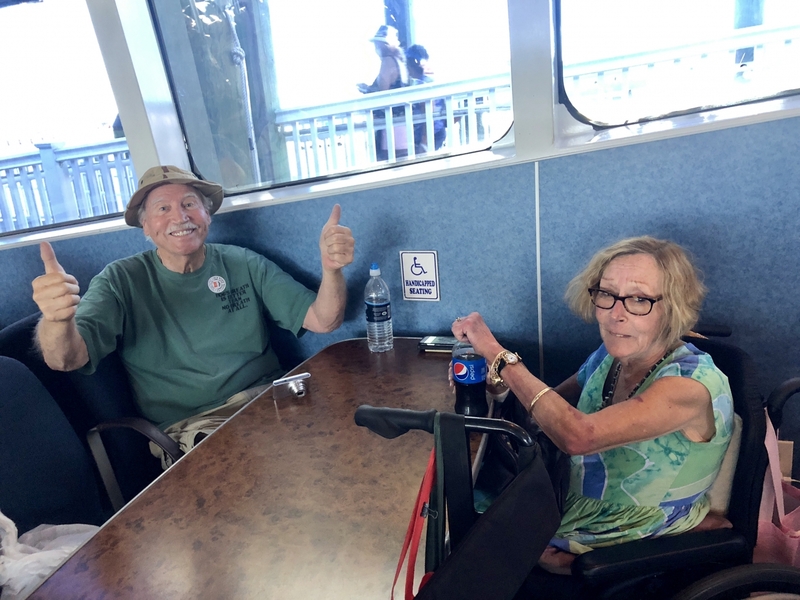 It was wonderful, as we had priority seating and chose a nice little nook area in the front corner of the boat where we laughed while watching Forest Gump, and others caught up on some much needed sleep, because who wanted to sleep while in Paradise?! 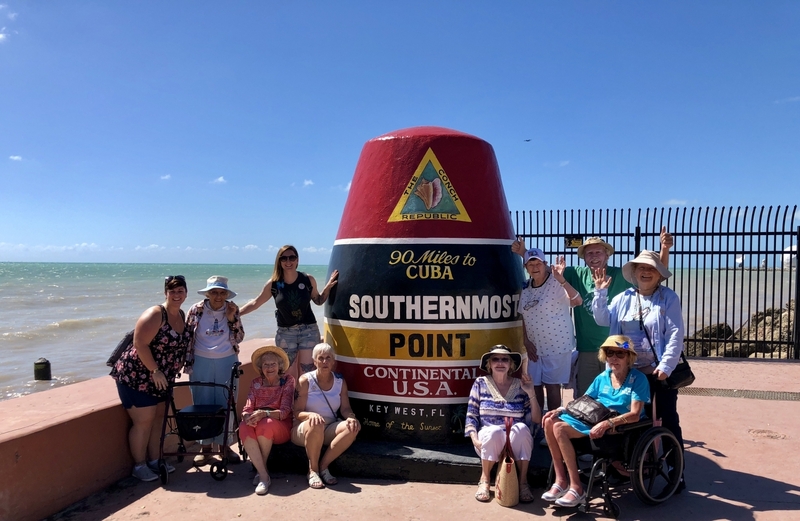 The trip was a huge success and we couldn’t be happier to have been able to have this amazing experience with our residents!